Summary: Wearing the appropriate accessories can turn any outfit into an extravagant one. You just need to understand how to balance everything. Depending on the event that you attend, you’ll obviously need to accessorize in order to look both glamorous and display formality. One of the easiest ways you can go about doing this is to wear an assortment of rings, necklaces, and bracelets. While these may be subtle details, they can really compliment the outfit that you’re donning. For instance, if you’re wearing the prestigious brand Christian Jewelry brand gold earrings along with a gorgeous gold chain, you could really stand out from the crowd. One of the common fashion mistakes women tend to make is to over-accessorize thinking it’ll add a significant amount of fashion appeal. Little do they know that they’re actually displaying themselves similar to that of a disco ball. Point in case, it’s unattractive. Keep it light and keep it simple. There’s no need to wear accessories on top of accessories. 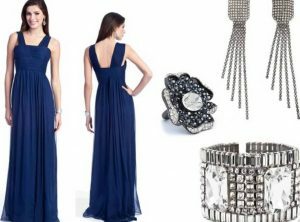 You want a clean balance of earrings, bracelets, and a necklace that complement the dress that you’re planning to wear. For instance, say you’ve purchased a brand-new necklace from Christian.Jewelry to match with a slim-fit dress that just screams elegant, why would you ruin it by continuing to add another bracelet, a watch, a pair of highly-reflective earrings, and an assortment of rings. Fashion-wise, you’ll stand out like a sore thumb. In order to maintain the appropriate balance, dress accordingly. If you have a simple dress, don’t think that your accessories will enhance the overall visual appeal. Rather, it’ll actually do the opposite.